World's 'Oldest Known Wild Bird' Hatches Chick, Again! 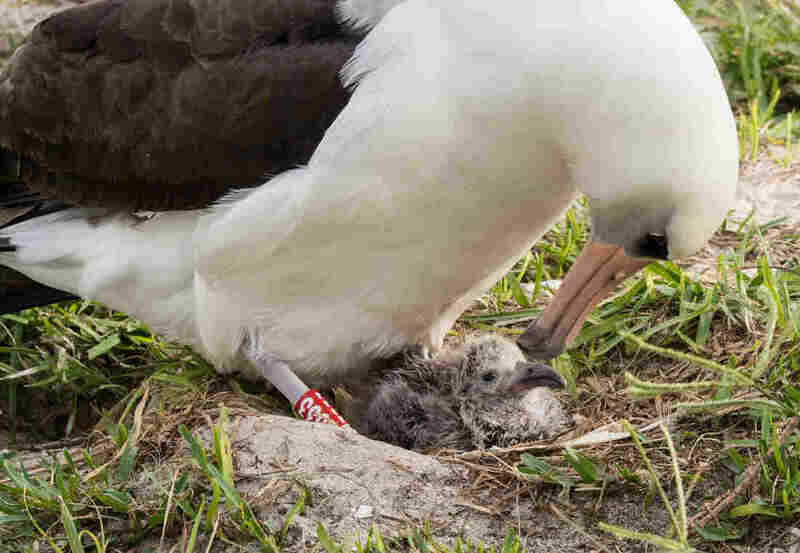 : The Two-Way Wisdom, a Laysan albatross who is at least 66 years old, has hatched yet another chick at the Midway Atoll National Wildlife Refuge and Battle of Midway National Memorial in Hawaii. World's 'Oldest Known Wild Bird' Hatches Chick, Again! At approximately 66 years old, Wisdom, the world's oldest known breeding bird in the wild, is a mother again at Midway Atoll National Wildlife Refuge and Battle of Midway National Memorial in Hawaii. 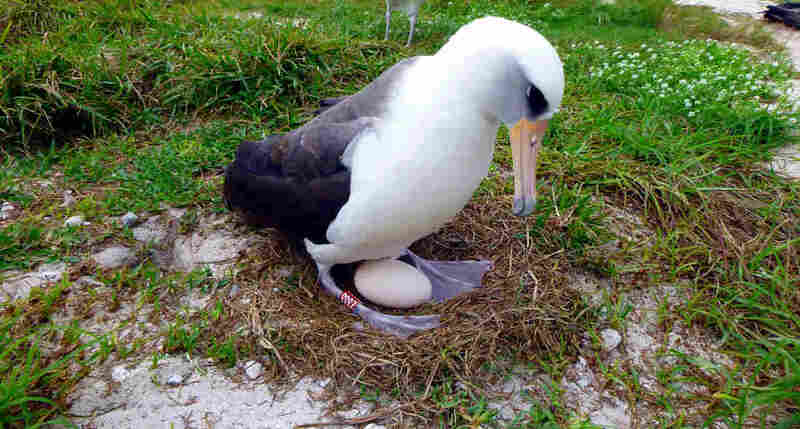 Wisdom, a Laysan albatross thought to be at least 66 years old, has hatched yet another chick at the Midway Atoll National Wildlife Refuge and Battle of Midway National Memorial in Hawaii. The happy news further cements her place as the "world's oldest known breeding bird in the wild," according to the U.S. Fish & Wildlife Service. Wildlife authorities say she was first banded by biologist Chandler Robbins in 1956 and has raised dozens of chicks. "Wisdom continues to inspire people around the world. She has returned home to Midway Atoll for over six decades and raised at least 30-35 chicks," Bob Peyton, U.S. Fish and Wildlife Service Project Leader for the Refuge and Memorial, said in a statement. The wildlife refuge and memorial is part of the Papahānaumokuākea Marine National Monument. "When not on parenting duty, Wisdom and [her mate] Akeakamai take off to forage for food. Because this process takes up so much time and energy, most Laysan albatross don't lay an egg every year." Park officials first spotted that Wisdom was incubating an egg in early December, and have watched it closely since then. The incubation period stands in contrast to Wisdom's usual active lifestyle — the Fish & Wildlife Service estimates that the bird has "likely flown over three million miles" during her lifetime. The Two-Way has followed Wisdom in the past — including the birth of another chick last year, called Kūkini, the Hawaiian word for messenger. This new chick has yet to be named. The wildlife refuge and monument is home to nests for an estimated 3 million seabirds, many of which were born there and continue to return every year. Conservationists say this makes preserving the fragile habitat all the more important. Laysan albatrosses mate for life — and Wisdom's mate, Akeakamai, has a particularly appropriate name. As we reported last year, participants in an online poll selected the name, which means "yearning for or lover of wisdom."